Summer’s here and I am missing the islands of Hawaii. 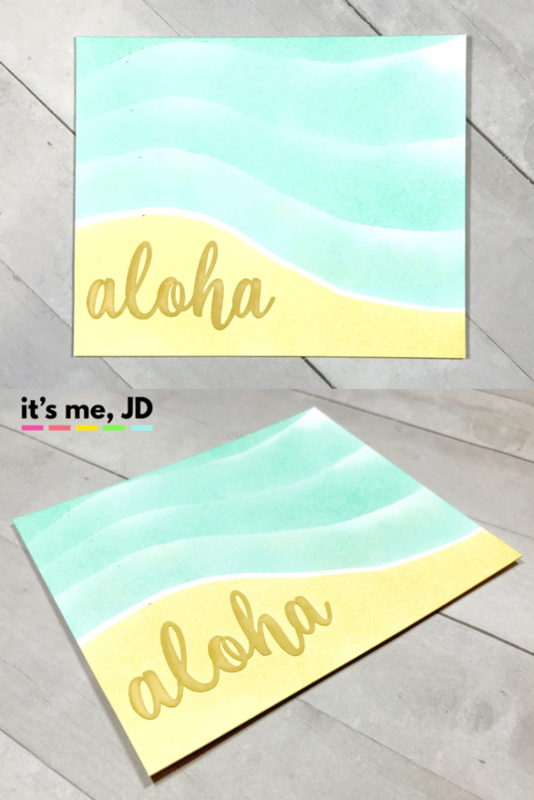 I wanted to make a quick card to send to one of my friends that lives in Oahu. 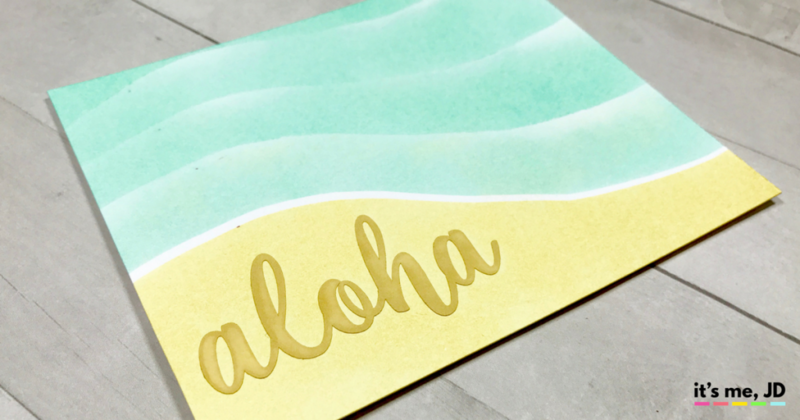 I cut the “aloha” sentiment on my cutting machine. Then I drew a wave pattern on some stamp masking paper and cut it out by hand. I used one half for the sand, then I used the other half for the waves. I was originally going to take off the “aloha” mask but liked it so much, I just decided to keep it on there. I added some glue behind it to reinforce it. You can see the process on my instagram page. 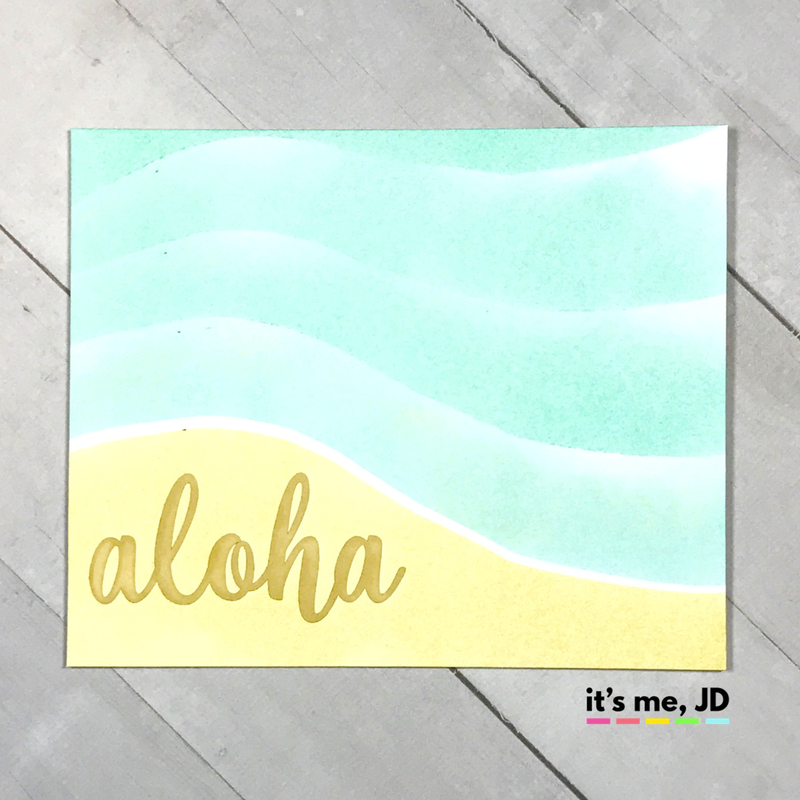 Where do you get the cutting machine for the aloha sentiment?